The fund is intended to support graduate and post-doctoral students in the Berkeley Statistics Department. If you would like to contribute you may make a contribution using the online form. Thank you for your support! The Department of Statistics established this fund in honor of a colleague who has been a leader in the profession, and a mentor and often friend to many in the statistics community. The fund is intended to support graduate and post-doctoral students in the Berkeley Statistics Department. 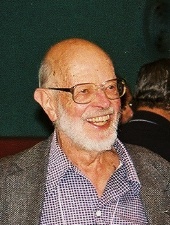 The notice of the establishment of this fund was presented to Professor Lehmann at a celebration held in his honor on November 10, 1997, on the occasion of his 80th birthday. Established in 1999, this prize consists of a citation and a gift certificate for a scientific book. It is awarded for an outstanding Ph.D. dissertation in theoretical statistics.